It is surprising Tommy, or Tommaso, Allan has time to sleep let alone breathe. Aged 20, he can speak fluent Italian, English and French, some Afrikaans, and is doing a business degree. 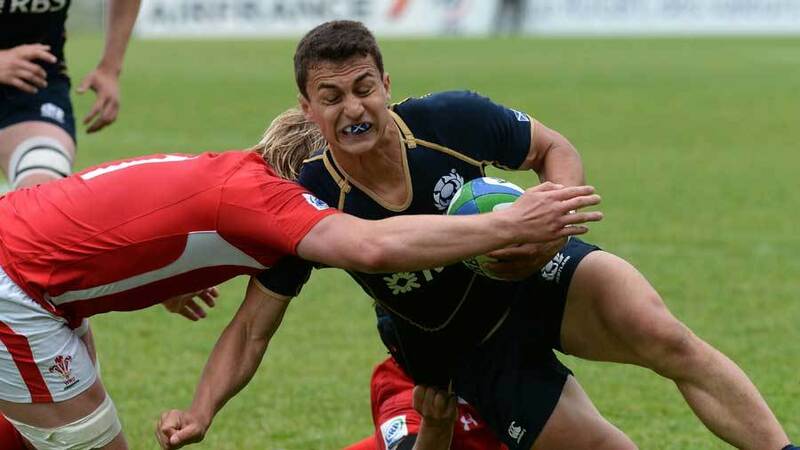 The fly-half has played for Scotland Under-20s, spent time at the Western Province, currently runs out for Perpignan and is in Italy's squad for the autumn series. Back in 1993, Allan was born in Vicenza to Paola Berlato, while Scottish father William was playing rugby in Italy. His uncle John won nine Scotland caps and played 13 games for South Africa. A confusing cocktail. Aged seven, Allan and family journeyed to Henley-on-Thomas where young Tommy learnt his rugby craft. He was involved in Wasps' youth programme and played for RGS High Wycombe.Then came a chance to journey to Cape Town and play for the Under-19 Western Province side where he enjoyed two years. 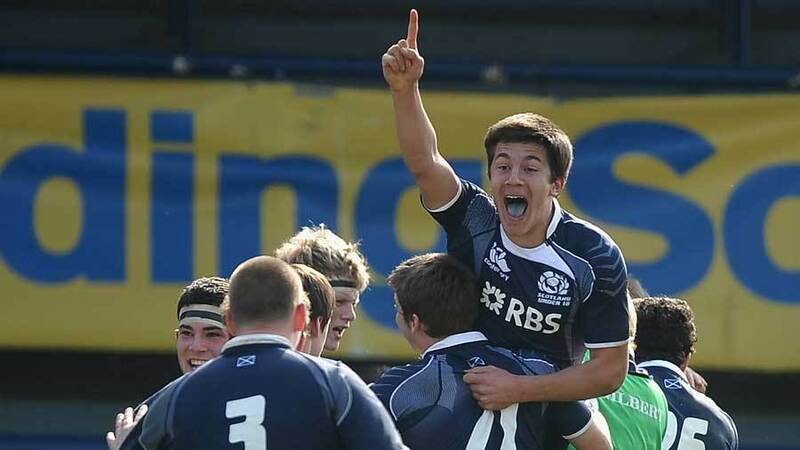 Around this time, he was capped by Sean Lineen at Scotland Under-20 level and played in both the U20 Six Nations and Junior World Championship for Scotland last year. But offers from Glasgow Warriors and Edinburgh were not forthcoming. Instead of being dragged into the Scotland amateur system, his agent bagged him an 'Espoir' contract at Top 14 side Perpignan. His whirlwind existence became even more manic as Perpignan called on him for their match earlier this season against Racing Metro. Allan flourished and caught the eye of Italy coach Jacques Brunel. For Italy, fly-half has been a problem for the country since Diego Dominguez retired, so when stumbling across Allan, they acted quickly and called him into their squad for the autumn internationals. The announcement caused some raised eyebrows in Scotland and interim coach Scott Johnson questioned Allan's decision and made inroads to try and turn Allan's attention back to Scotland, but it was too little too late.
" There is enough time that if it doesn't happen now, then it hopefully will later on"
"I did talk to him early on as he was asking what was happening," Allan told ESPN of his talks with Johnson. "I told him what my decision was and he understood, I think. There was a bit of a shitstorm around all of it, but I tried to not take any of the comments to heart. "It was always going to happen as something similar happened to Steve Shingler [the former Welsh U20 fly-half wanted to play for Scotland, but regulations prevented it occurring], that was a bit of a mess. But now I can concentrate on Italy. "I feel Italian. I was born in Italy, I was raised there for seven years. All of my Mum's family is in Italy. It wasn't an easy choice to pick Italy, I've made a lot of friends in Scotland but I had to think about my future and I think Italy is where it will get better." While the media attention was "heavy", in Allan's words, it was not that he was most concerned about, it was those closer to home. "All my mates in Scotland congratulated me and said there were no hard feelings. I was a bit worried about what my friends were going to say, those I played with and training with. But they helped me focus and support me." 'Shitstorm' calmed, Allan was retained in Italy's 30-man group for their three-Test autumn series which sees them face Australia, Samoa and Argentina. The Italian public will find out if Allan gets the nod on Thursday morning and he may get a chance to play against Quade Cooper. For Allan, a different, experienced fly-half has aided his development, Perpignan team-mate James Hook. "It's awesome, he's a good mentor," Allan said of the Welsh No.10. "We hang out quite a lot, we kick together and he's a top bloke. He helps me so much with my fly-half game." Both are currently away from their base in Perpignan. Hook is focusing on Saturday's game against the Springboks, while Allan is training alongside luminaries Sergio Parisse and Martin Castrogiovanni. Taking that leap from watching them on television, to playing alongside them, is all part of the ever-increasing pace at which Allan's life is moving. "These players are awesome and I've seen them on television. It's not a dream, but it's just weird. Now they are my team-mates so they are just normal people." Allan is just a normal person, but someone with a wonderfully varied life. While he will have to put his Afrikaans lessons to one side, his girlfriend is teaching him at the moment though he concedes he is "not really getting it", and his Open University course in business studies may have to take a backseat while on international duty, he looks to have found a home from home with Italy. If he gets his chance during the autumn internationals, then there will be relatives, friends and coaches watching all over the world who will feel some pride in helping Allan realise his dream of winning an international cap. "There's still a lot to work on, but it's awesome to be a part of this. There is enough time that if it doesn't happen now, then it hopefully will later on."